Whilst almost all aspects of a wedding require research and preparation, the part which generally requires the most forethought is choosing a ring. This could be the engagement ring or the wedding band. Here at La Vivion, we’ve collated all the information you’ll need to choose the diamond ring that’s right for you. 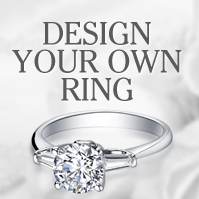 What Are the Most Important Things When Choosing A Diamond Ring? The Diamond – This is the most important part of any diamond wedding ring. Diamonds are graded according to the ‘4 C’s’ – colour, clarity, cut and carat. Carat refers to the mass of the diamond; the higher this is, the bigger the diamond is. Colour and clarity refer to the quality of the diamond itself, and a high clarity with a low colour will mean a higher quality diamond. Cut is a matter of personal preference, and refers to the shape of the diamond. This does, however, have an effect on how light travels through the diamond so the cut can affect the ‘sparkle’. The Band– This can be almost as important as the diamond itself in any diamond ring. Gold is the traditional favourite, and is given a Karat number (K) to determine how pure it is. Pure gold (24K) is too soft to wear, so 14K and 18K are the most popular choices. 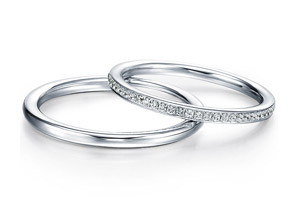 White gold is another popular option, and is an alloy of regular gold and a white metal such as silver or nickel. Platinum is another, slightly more costly choice of material for many diamond wedding rings – it does not tarnish and can last for many generations. 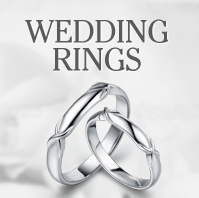 Compatibility – Many people now wear their engagement ring with their diamond wedding ring. If this is your plan, it’s important to make sure the two rings are aesthetically compatible and that one will not scratch the other. Most importantly, make sure it is compatible with you and that you are happy with the design; this way, the ring will last a lifetime. One other consideration is the cost – popular wisdom suggests two month’s salary. This, however, is not the best guide to use. It is more important to consider whether the diamond ring is right for you or your partner, and that you are happy with the quality of the materials composing it as well as it’s style. 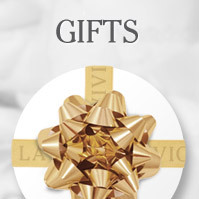 Here at La Vivion, we offer a wide variety of diamond rings and diamond wedding rings that can be designed by you, for you. Contact us directly for more information.